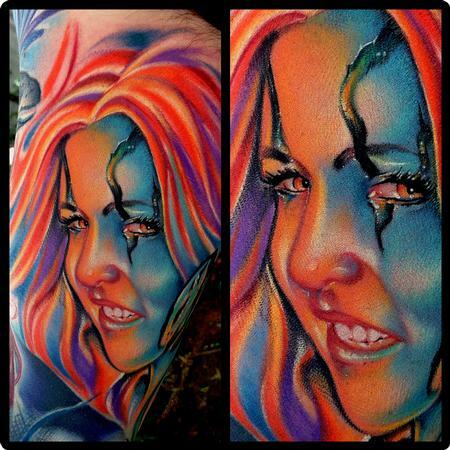 Comments: Mermaid color tattoo I did at the biggest tattoo showing earth. This is just a piece of a sleeve I've been working on. Intenze ink @www.tattoosuperstore.com Art junkies tattoo Hesperia ca, Mike DeMasi.